I strive for balance with work, running and my personal life. Too often I see talented educators push themselves to the limit and leave the profession overworked, exhausted, and defeated. Our work as educators in the inner-city is too important. We can’t afford to lose smart, passionate and impactful teachers because they just can’t maintain the crazy lifestyle. 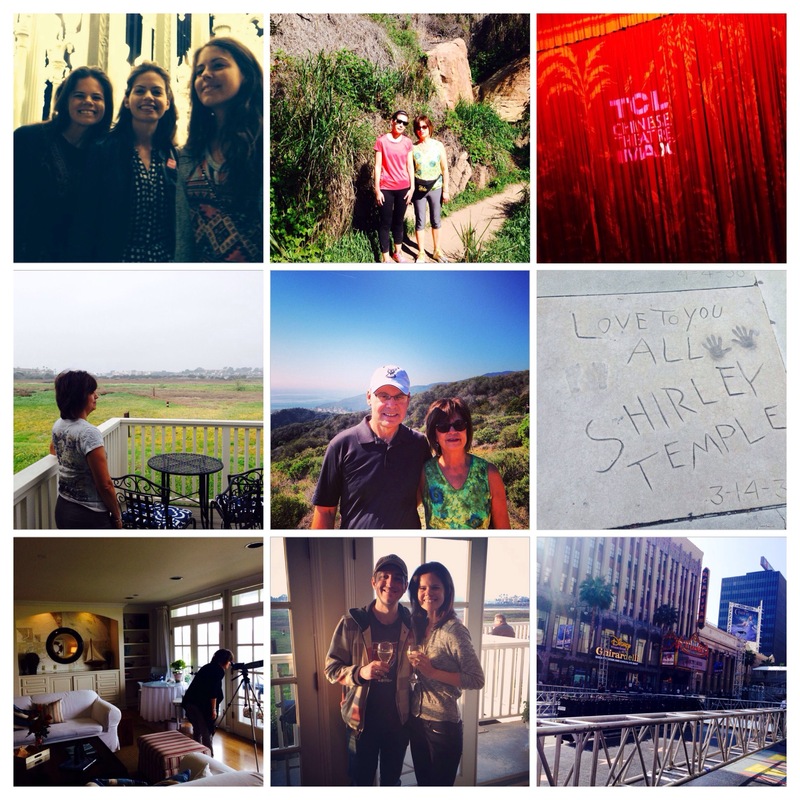 I want to be like my mom, in my sixties, still energized and enthusiastic about improving my practice as a teacher. That means knowing when to stop, learning how to control emotions, and training yourself to have an on/off switch. You also know I worry about creeping into crazy runner zone. 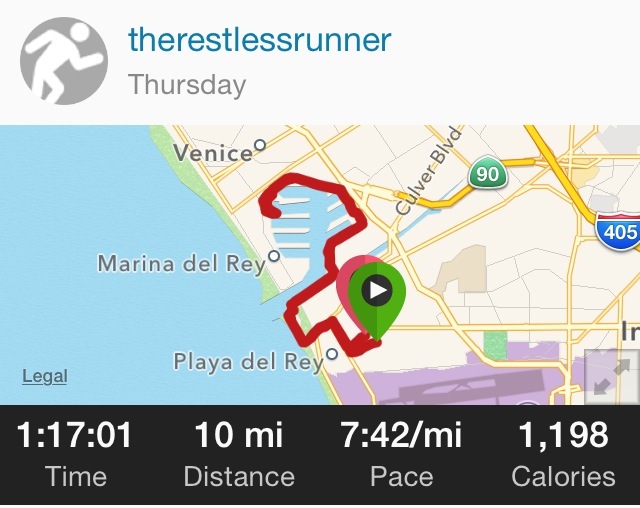 I keep the rest day sacred and try not to let a long run interfere with taking advantage of living in LA. Who wants to be married to the annoying “I have a long run tomorrow” wife? So what does striving for balance look like? Monday: No school for President’s Day. Ran eight easy miles before meeting Mama, Papa and Carmen who were in town. The weekend consisted of hiking Los Liones, visiting LACMA, touring the Chinese Theatre, eating at Gracias Madre (AMAZING MARGARITAS, good choice Marta), spending time on the beach and relaxing at my parents hotel, The Inn at Playa del Rey. Oh how we loved the inn! The breakfast has a homemade feel, they do wine and cheese from 5 PM – 7 PM every night in their lounge overlooking the Ballona Wetlands and the baked goods they put in your room are nice treat. I wish I could do a staycation there, although I’m not sure it’s worth it considering I live a mile away. Tuesday: Dropped Mama and Papa off at the airport at 6 AM then met Alaina at the Westchester Starbucks before driving to school! I got to work a little before 7 AM. The day consisted of working with my third grade reading group, second grade reading group, unit planning for third grade math, studying a potential phonics curriculum, completing a school-wide walk through and meeting with the instructional lead team at the Elementary School after-school. The meeting runs from 4-5, and the team knows I have to leave right at 5 PM to make it to track on time. This week we ran a bunch of 1200. Brent always cooks dinner on Tuesday. This week he made homemade pizza, otherwise known as the night to dig in the fridge and find random pizza toppings. I made mine with brussels sprouts, mozzarella, gorgonzola and spinach. I also hung out with Alaina while she was doing laundry across the street. I miss seeing her everyday! Wednesday: The morning started early. It was my day off running, but Back On My Feet had a clinic at ALTUS Sports Institute in Santa Monica at 5:15 AM. SO EARLY! They taught us a bunch of exercises to help us stay strong as runners. I was happy that most of them are a part of my runner’s strengthening routine. Went straight to work and had a day filled with meetings. I got to demo a phonics lesson with a few kindergarteners which was super fun. I stayed at work later, and went straight to the Magic Castle for a night out with Brent, Gabe and Becca. Wow, the Magic Castle is an experience. Go if you ever have the chance! 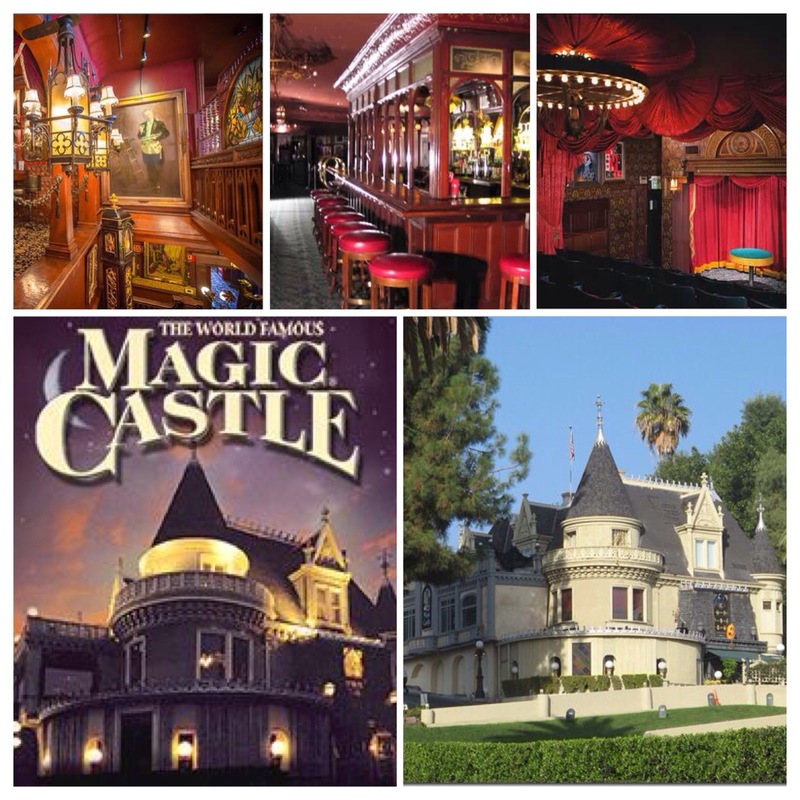 You need an invite, and even if you have an invitation from a member, theres a $20 cover and you have to dine there, but they have a magic shows throughout the castle that you pop into. Levitation, card tricks, mind reading. The magicians are just SO talented. I was out past my bedtime and didn’t get to bed until after midnight. CRAZY for me! You can’t take photos inside, but I found a few online to give you an idea of what it looks like. It has this awesome old Hollywood feel. Thursday: Two big cups of coffee gave me the energy I needed to start my day. I went to a training with Families in Schools to learn more about meaningful parental involvement. I met a ton of educators across the city, and got some great strategies to help me in my school design. The training took place at the Mercado la Paloma. After the training I ended up running into a KIPP LA tech team member and we had an impromptu lunch at a Vegan Ethiopian stand at the Mercado. It was nice to catch up and talk ed tech. Being away from distractions I was able to get some quality work in and was home around 5:30 PM and actually had the time and energy for a 10 mile run midweek! 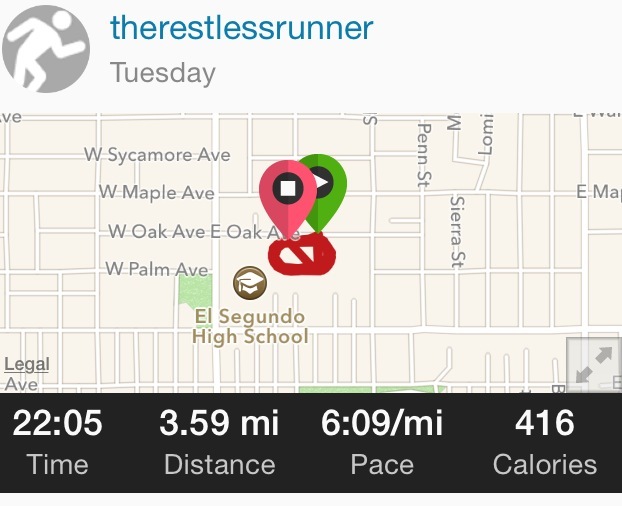 This is one of my highest mileage weeks, so I was glad to fit it in. I knew Brent was going to be coming home late, and dinner was already prepped from my handy dandy meal prep. I didn’t plan to run this as a tempo, it just kinda happened. Maybe it was the Ethiopian food that sped me up? Brent and I had dinner and I was asleep by 8:45 PM. Kinda embarrassing, but with our late night and with the hard run I was exhausted. Friday: A few of us from Equitas visited Endeavor College Prep. I was so impressed with their program. I especially enjoyed watching them implement Eureka Math, a curriculum I’m considering adopting. The best professional development is watching experts in action. 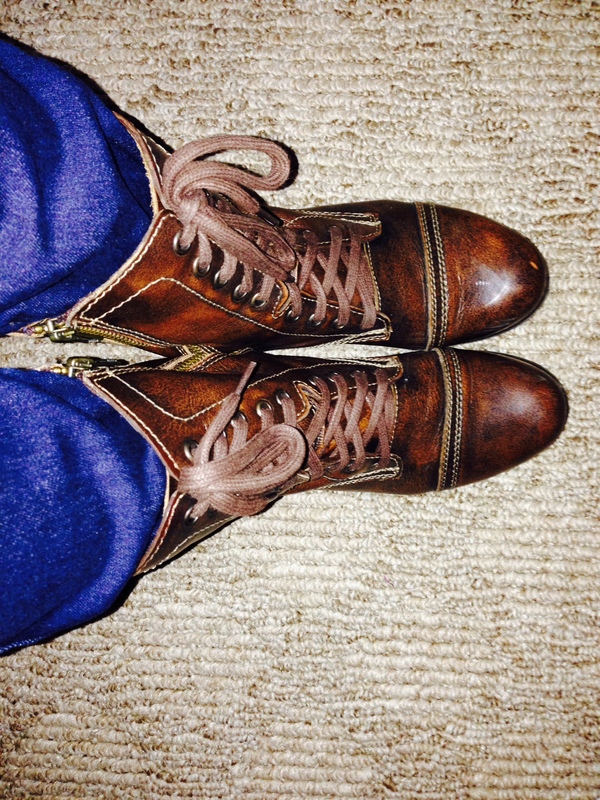 In the evening it got down to 66 degrees, so I was able to pull out my boots Brent got me for Christmas before heading to our Tripel dinner date. 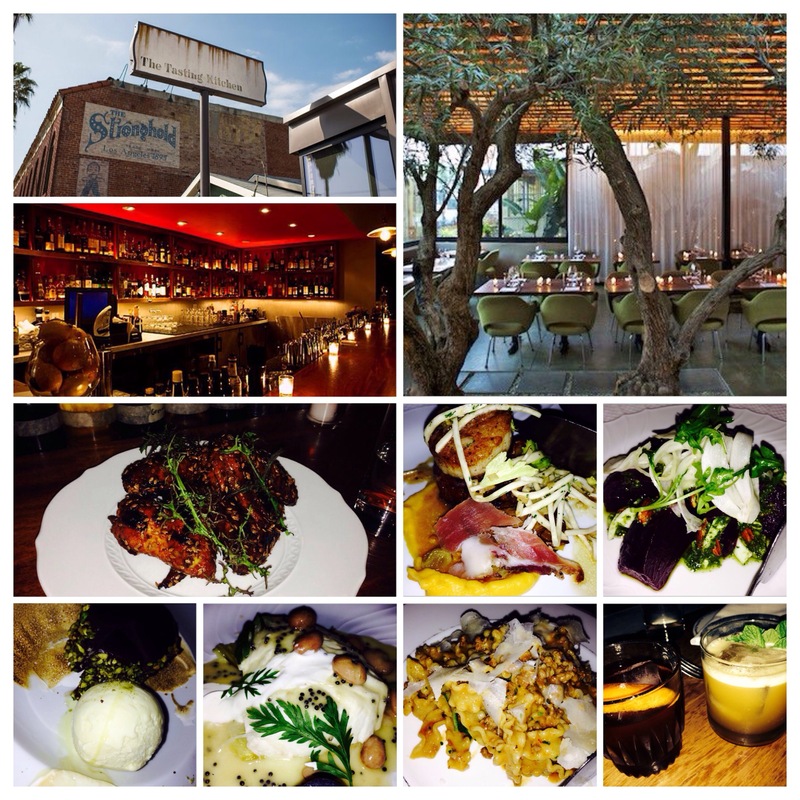 Saturday: Besides the 20 miler, Brent and I went to The Tasting Kitchen on Abbot Kinney in Venice for drinks and snacks. We split their burger and roasted carrots and sampled a bunch of their cocktails at the bar. I’m a big fan of the Road Runner cocktail made with mezcal. We’ve been here before for their 5 course tasting menu where they essentially cook whatever they are inspired to cook, and you don’t have to make any decisions. The tasting meal usually involves a homemade pasta, some sort of meat, a vegetable dish, and always has dessert. A few photos below from the awesome interior, our cocktails and some tasting menu items from times we’ve visited before. Sunday: Just got back from Lululemon run club. Had an awesome run with Ellen. Meeting up with a friend for brunch in a bit. Will do some math lesson planning on the couch, and will take advantage of the endless supply of sweet potato black bean burgers I have in the freezer for dinner. I doubled the recipe two weeks ago, and with fluffy hawaiian rolls and some BBQ sauce they are really satisfying. I love having a freezer filled with ready to go meals. Maybe go for a walk on the beach after dinner and evening church? 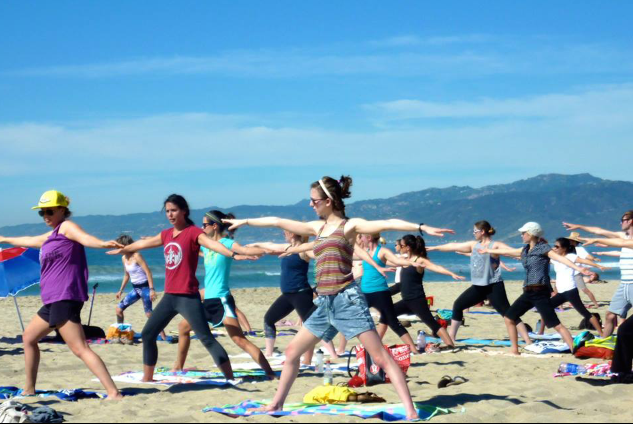 This entry was posted in Education, LA Living, Restaurant Reviews and tagged beach yoga with brad, inn at playa del rey, mercado la paloma, the magic castle, the tasting kitchen. Bookmark the permalink. i want the bean burger. Quite a Week for you! It was fun to be in LA and look forward to helping you out at school next time .